Decision making is very important for any organization. Many managers rely on gut instinct to make important decisions, which often leads to poor results. On the contrary, when managers insist on incorporating logic and evidence, they make better choices and their companies benefit. This lecture briefly present on Break-even Analysis. 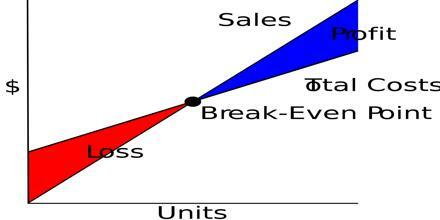 Break-even analysis is based on the assumption that all costs related to the production of a specific service or product can be divided into two categories: variable costs and fixed costs.